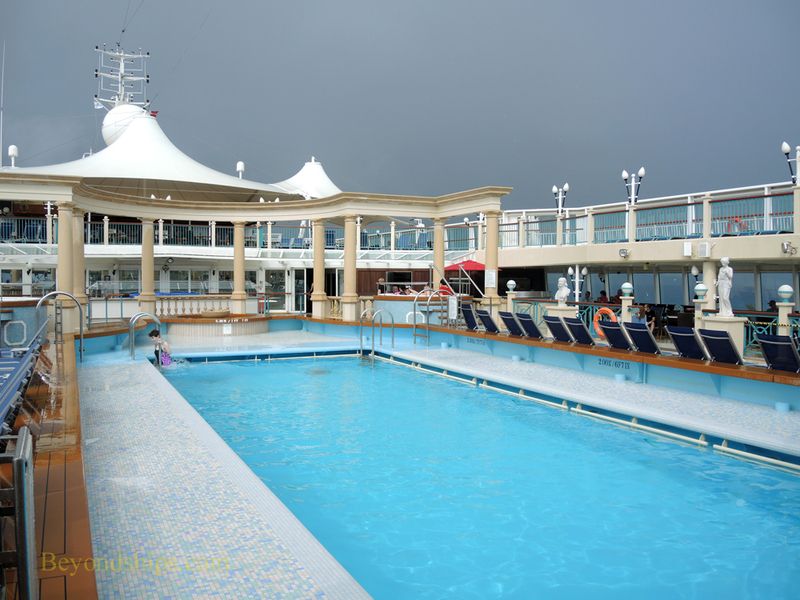 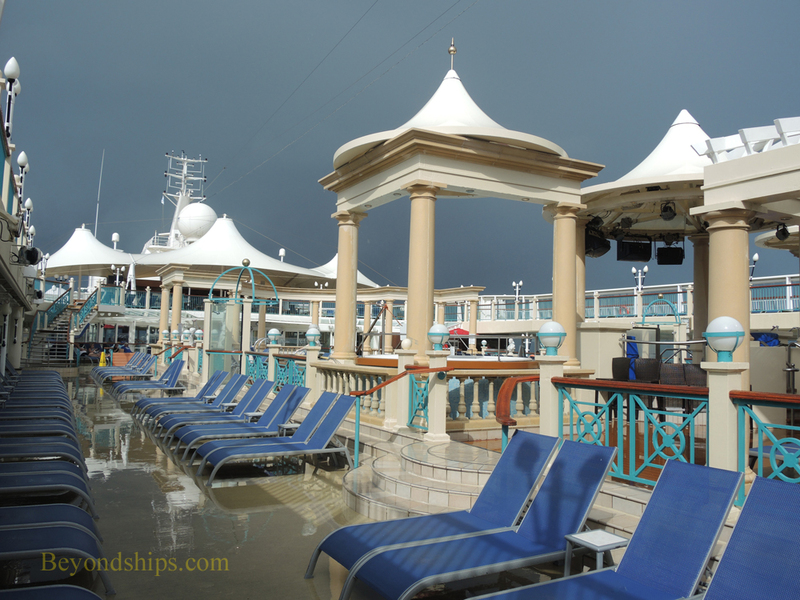 The Tivoli Pool is the main swimming pool on Spirit. 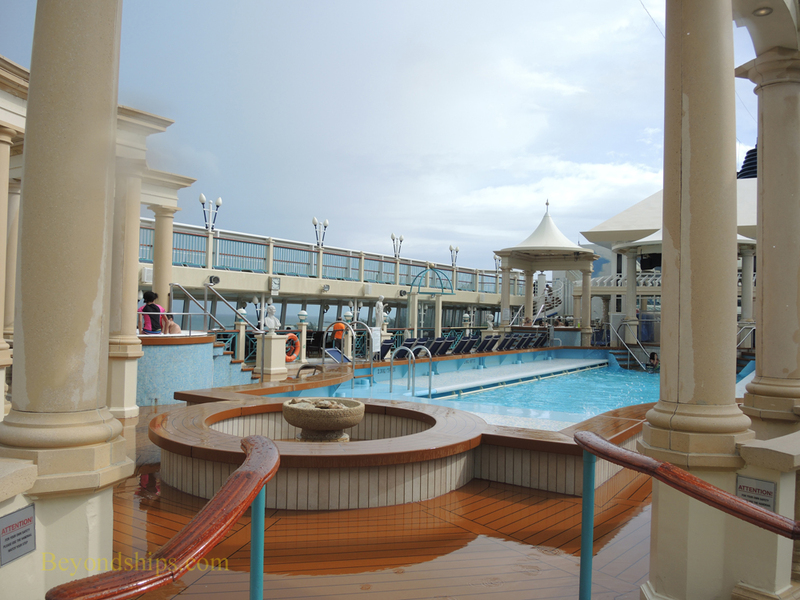 In addition to the pool there are four hot tubs, numerous deck chairs as well as sheltered tables and chairs. 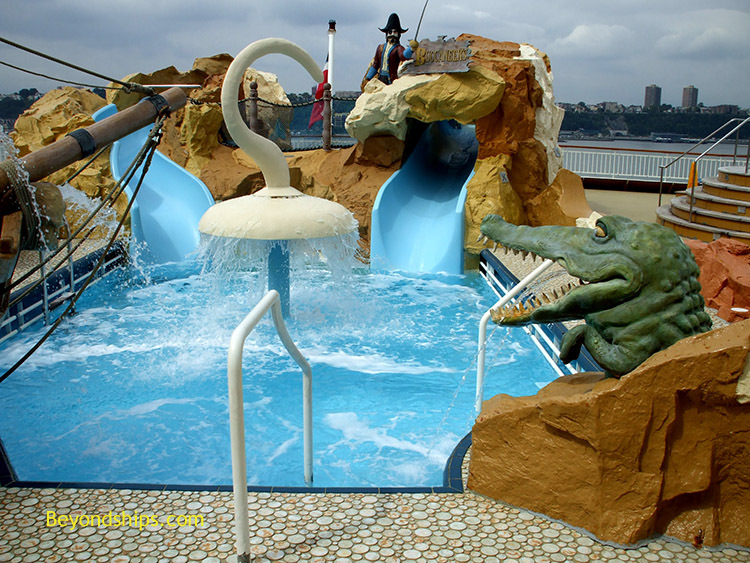 At the stern of the ship is Buccaneer's Wet & Wild, a children's pool area with pool, water slide, hot tub, and a pirate ship. 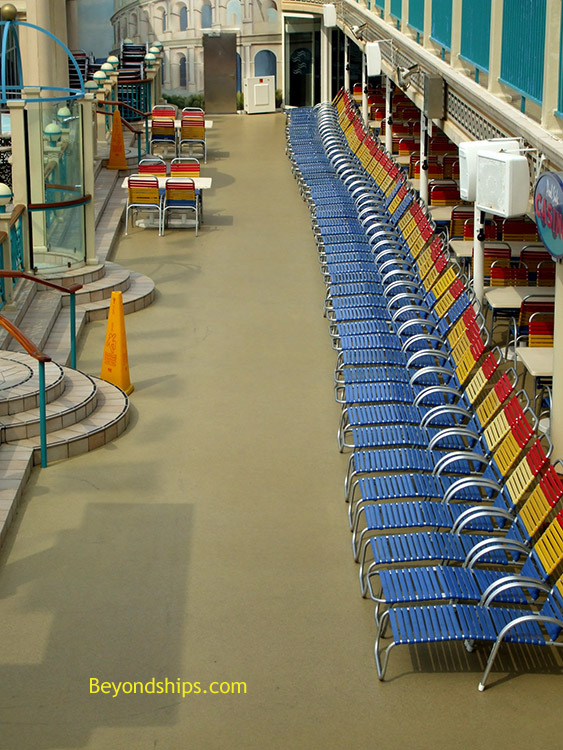 There are a series of terraces overlooking this area grandstand-style. 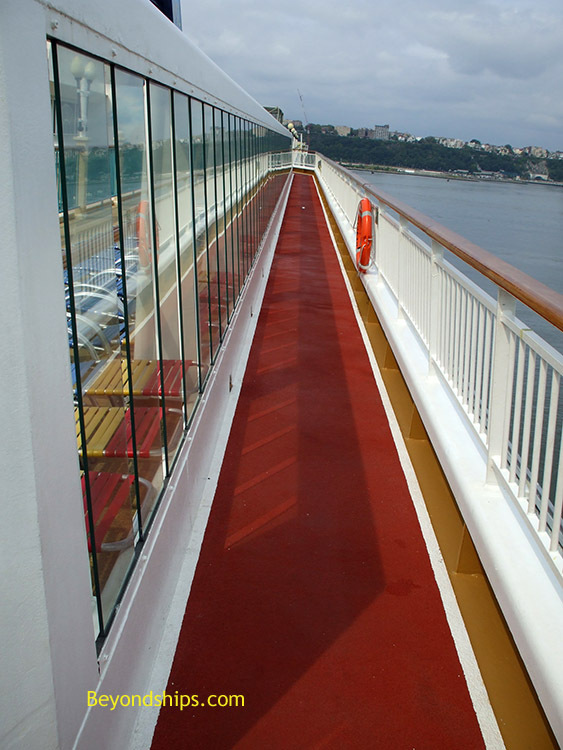 Left: The Jogging Track is a jogging/walking track that winds around Deck 13 providing a number of great views as well as exercise. 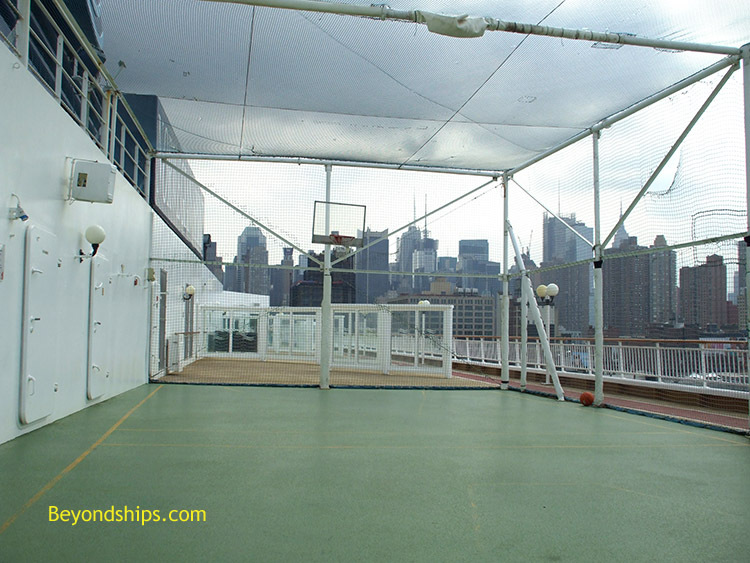 Above: Spirit also has ping pong. 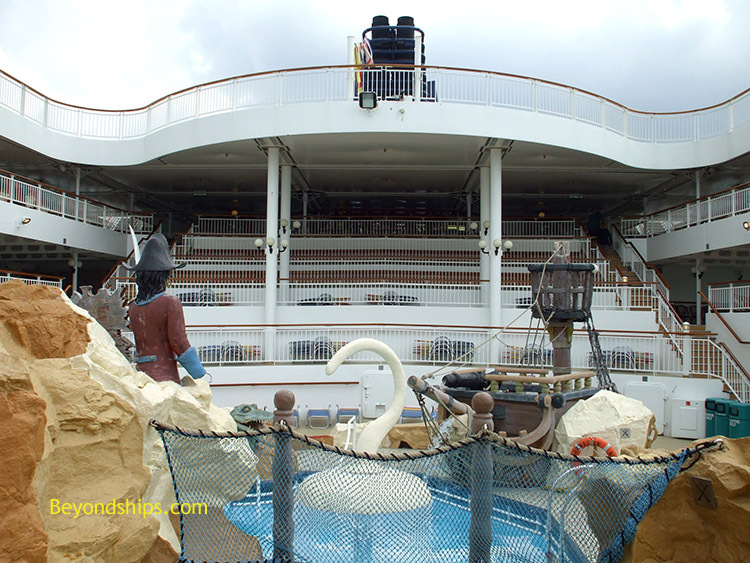 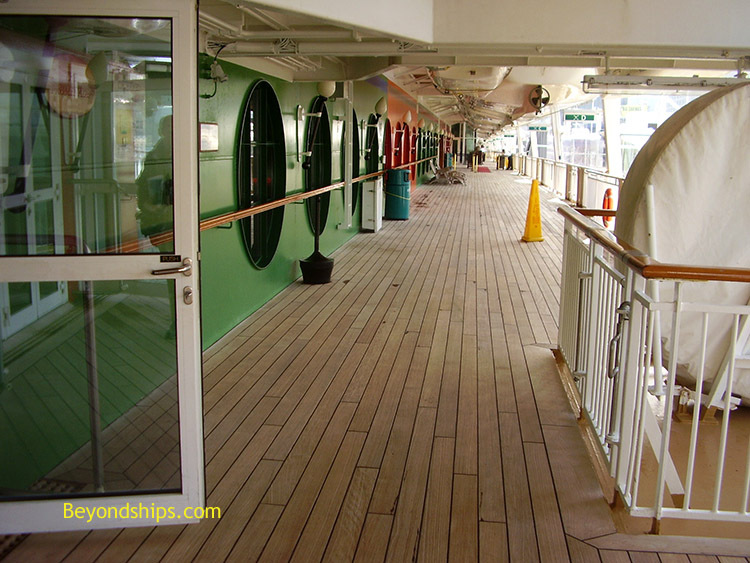 Below: The Promenade Deck is covered with teak and wraps all the way around the ship. 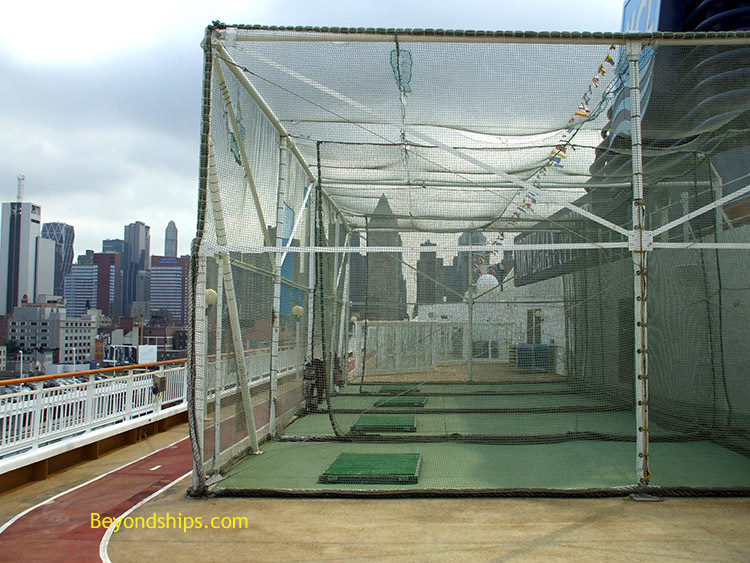 Right: The Golf Driving Nets.